The Grand Hotel Callao stands out for offering comfortable accommodations, large gardens, scenic terraces and open spaces for pleasurable stays by the sea. 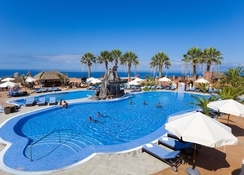 It has outdoor swimming pools for adults and children, a solarium with sun loungers, a fitness centre, relaxing hammocks, terraces with bar service and pleasant views of the Atlantic Ocean and resort surroundings. Gran Hotel Callao also offers fantastic facilties and services such as the spa wellness center with heated indoor pool, jacuzzi, whirlpool, sauna and steam bath and sports courts for tennis, squash and golf. In addition, the hotel has restaurants, cafes and bars with terraces to suit every moment of the day, plus a wide variety of dishes representative of Canarian and Mediterranean cuisine. 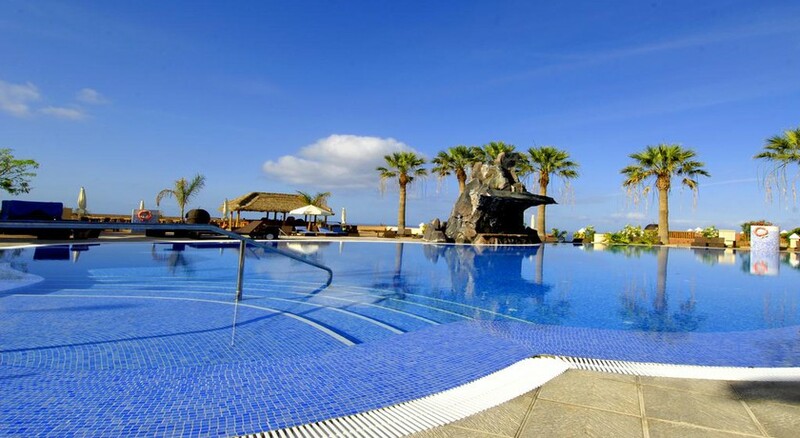 The Grand Hotel Callao is located between Costa Adeje and the Port of Santiago, an area that offers an infinity of coves, cliffs and small black sand beaches ideal to enjoy all kinds of water sports. Las Americas Beach is 15-minutes away by car. 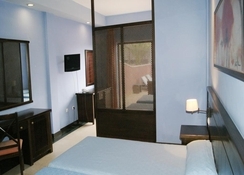 Callao Sport Hotel is located in Callao Salvaje, 5km from Adeje and the main road of the island. Additionally, 100m away on El Jable Street and Galga Avenue, there are two bus stops which will ferry guests to and from popular tourist attractions/areas. The nearest beach is just 1km away. 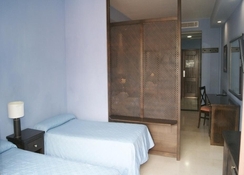 The nearest airport is located in Santa Cruz de Tenerife, 1 hour away by car. The Grand Hotel Callao has 82 spacious modern-style double and family rooms, which, among other amenities, include air conditioning and heating, WiFi, flat-screen satellite TV, desk, safe, minibar, telephone, terrace and full bathroom with bathtub. 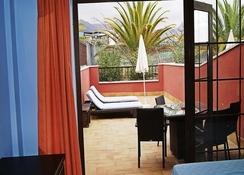 The hotel rooms also feature a whirlpool and a balcony or terrace. If you’re feeling peckish, stop by the hotel’s main buffet restaurant for a selection of local and international cuisines – plus thematic menu’s which change daily. For lighter bites or poolside snacking, there are two bars available which also host live music and entertainment. Guests can make use of several leisure facilities at the hotel, which include tennis courts, Spanish paddle tennis courts, volleyball and basketball courts, soccer field, squash courts (for a fee) and golf course (9 holes), pitch and putt field and more. In addition, there are two adult swimming pools on the premises (one of which is heated), as well as a separate children's pool, gym, yoga area and running options. Guests can relax on the spacious terrace, where there are sun loungers and parasols. Undoubtedly, the jewel of the hotel is its impressive spa, an 1800 m² space, which has been designed as a tribute to the Aztec culture. The spa and health center offers a wide selection of modern facilities and services, with hydrotherapy equipment, hydromassage, Turkish bath, Roman thermal bath, cold room, hydromassage pool, jets, multi-jet sauna, waterfalls and shower circuit, as well as a wide selection of massages and spa treatments.